HomeCinemaHollywood GossipDoes Kanye West Think Someone’S Out To Get Him? 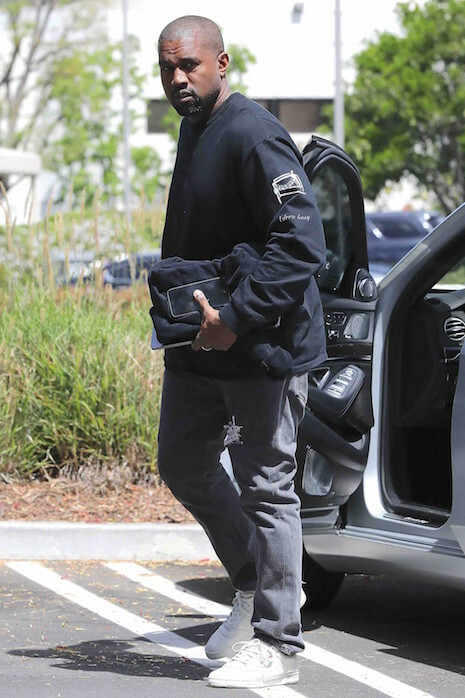 We used to see a lot of him, but lately a Kanye West sighting is a rare thing. The National Enquirer insists that Kanye has taken to wearing a bullet proof vest when he leaves home because he feels like a target. He HAS increased security since Kim was robbed but he is staying out of the limelight. This weekend he launched his new Adidas Yeezy collection which attracted quite a crowd of shoppers – but no Kanye. One thing for sure – Kim is NOT wearing a bullet proof vest….